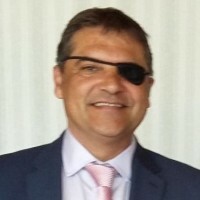 Tony Gillam is the Founder and Managing Director of Self Employed Network Limited, established in 2013. Tony’s company is an online directory of over 5 million entries within a trusted, interactive advertising panel, where self-employed individuals and small companies collectively acquire suppliers at more affordable and competitive prices while saving money. He also established Green Badge Promotions, specifically targeted towards taxi drivers and allowing them various opportunities to save money on products ranging from insurance to golf supplies. Tony is a self-made business man that started his first company at the age of 19 after having to drop out of college due to dyslexia. Regardless of his personal challenges, he has remained positive and focused on his goal of providing his clients with the absolute best service possible. Tony also gives presentations to small businesses and entrepreneurs on how they can streamline their business and be more efficient. Tony is passionate about collaborating with other professionals and loves hearing about new ideas. He is proficient in turning companies around from near bankruptcy and has tripled revenues for companies including ProGame Corporate Gulf Club by implementing new business strategies. He ensures all relevant departments of the company are efficient and coupled with up-to-date technology and practices, and continued staff training programs.